Posted this a few days ago on my Facebook blog here but I wanted to show it here as well. 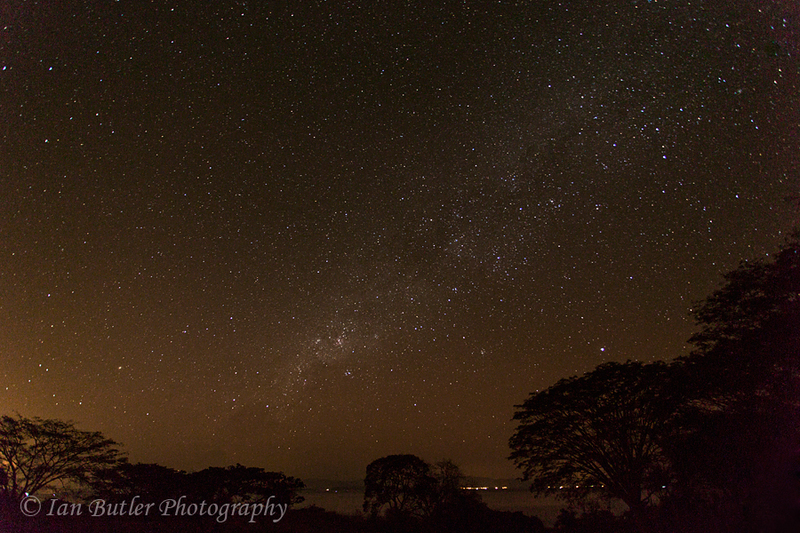 This is the Milky Way looking south west across the Gulf of Nicoya in Costa Rica. I knew the stars would be clear here but it was magnificent. It is so good for observing astronomical objects because across the Gulf of Nicoya is a mountainous areas with trees and hardly any civilisation apart the harbour towns, so minimal light pollution, and then behind that there is absolutely nothing but ocean until you reach Australia! Canon 5D3 with Canon 17-14mm f/4 L lens. and click on the LIKE button. Something a bit different from my usual wildlife images. Whilst out in the garden I saw this particular individual repeatedly landing on this statue after nectaring or chasing other butterflies. 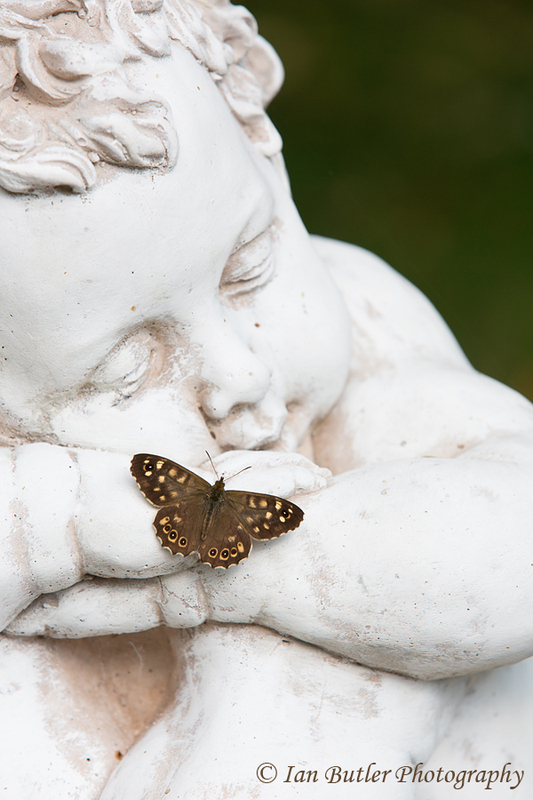 On my first observation (without the camera) the butterfly had landed directly in the crease of the statues arm and it looked as if both were looking at each other. On getting my camera it never landed there again! Usually how it goes… but I’m pleased with this image. Speckled Wood Pararge aegeria, West-Midlands, August, 2013. Canon 5DIII with Canon 70-200mm f2.8 L IS II, 1/320sec at f/8.0 at ISO400. 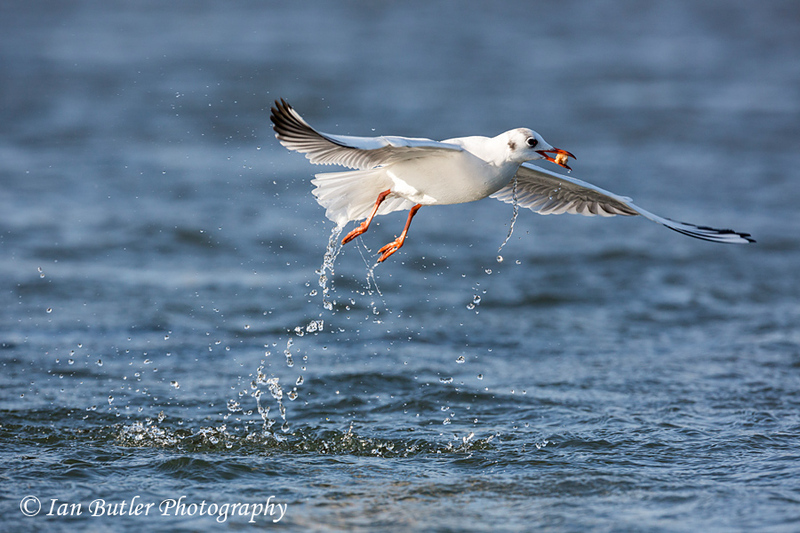 Whilst down at the coast yesterday I decided to have a short mini project on Black headed Gulls. I learnt a lot about their feeding behaviour and how to utilise this to gain better photographs. It was putting the autofocus system of the 5D mk3 to the test and I can honestly say it coped extremely well. It is certainly a project that I will be continuing. Here is one of the best from the day. Not perfect but I like the way the water is trickling down from the bird as it rises from the water. Black-headed Gull, Chroicocephalus ridibundus, Glamorgan, Wales, February, 2013. Its been a long time posting on this blog but work has had to take precedence unfortunately. I hope everyone has had a wonderful Christmas and had many great parties for the New Year celebrations! To kick start the year off I had a trip up to Scotland to photograph some of the Scottish species. First of all is the Red Squirrel. 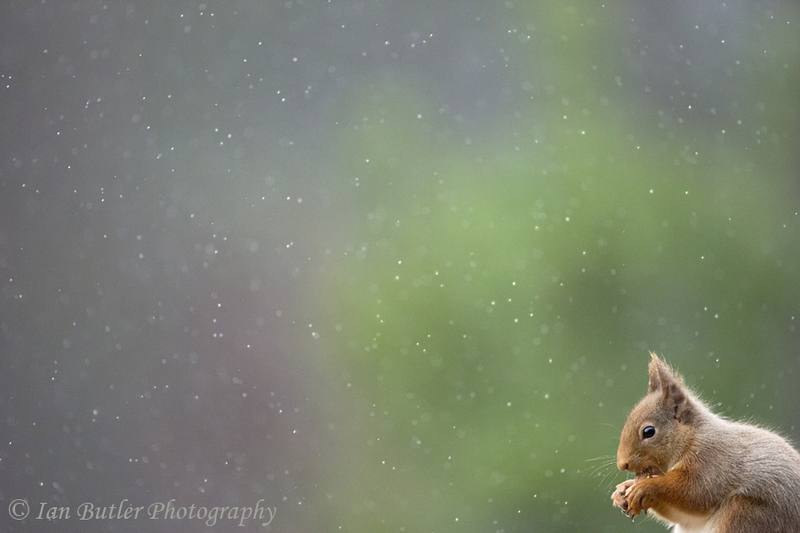 A very iconic species and great fun to photograph even though they are a bit quick. This image was taken at ISO8000 (yes, you read right, 8000!!) as the light was extremely poor. There was no snow so had to improvise…so….this is what rain drops look like at 1/2500th sec shutter speed. It looks like snow. I think another trip to here is needed to get the real wintry conditions. Red Squirrel, Sciurus vulgaris, Cairngorms, Scotland, January, 2013. Canon 5d3 with Canon 500mm f/4 L IS, 1/2500s @ f/4, ISO 8000. Another quiet period on the blog due to me visiting South Uist in the Outer Hebrides for 10 days. 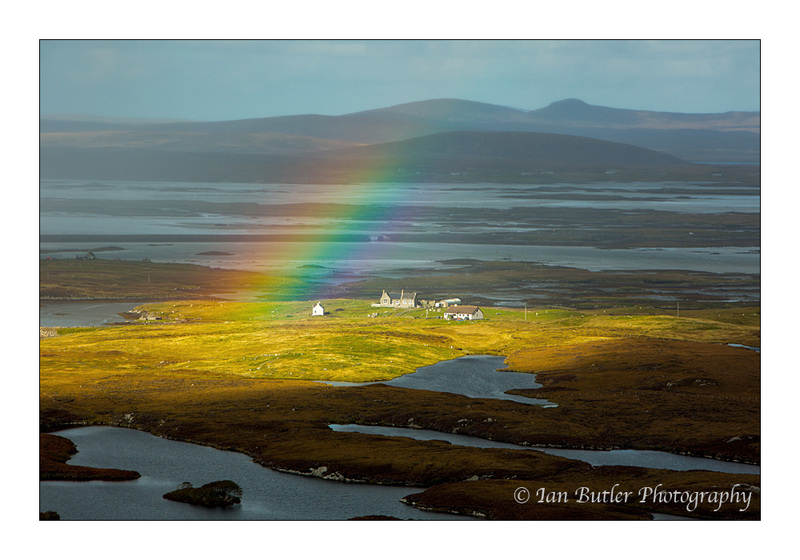 Although the wildlife there was very difficult to capture due to 60mph+ high winds and being on migration, I did manage to get this image of a storm passing through the islands with just one tiny hole in the clouds allowing this rainbow to form over this farm in the rain. I really like this image as it could convey a lot of different meanings for a lot of different people. 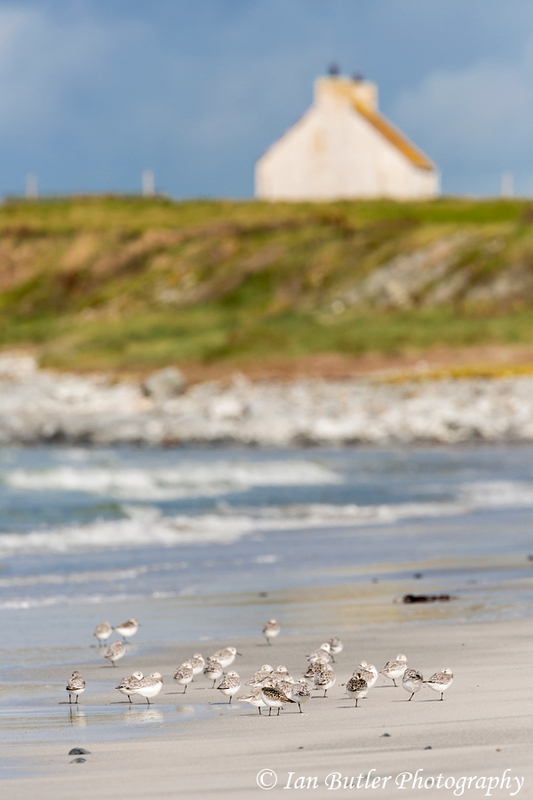 South Uist, Outer Hebrides, Scotland. September, 2012. Canon 5d MK3 and Canon 70-200mm f/2.8 L IS lens.